Leaving before dawn, she took jobs cleaning other people’s homes, and then returned to cook breakfast and ready her children for school. This work, itself demeaning in the eyes of her husband and other villagers, was actually the foundation of Halder’s growing confidence, and it gave her the financial means to eventually leave her abusive husband. She started working as a maid to support her three children. Among those she worked for was Professor Prabodh Kumar, the grandson of one of the greatest literary figures of the Hindi language, Prem Chand. Prabodh himself is a writer and a retired professor; the professor noticed she spent a lot of time dusting his large collection of tomes, especially those written in Bengali. Kumar gave her a book from his library to read, Bangladeshi author Taslima Nasreen’s autobiography ‘My Girlhood’, about her unhappy youth and rage about being born a woman in a poor society. It was a turning point. Halder devoured that book and then others. Finally Kumar, who also speaks Bengali, handed her a notebook and urged her to write her own life story. She was embarrassed, reluctant. But she started writing after finishing her daily work and would continue late into the night. She wrote about her uncaring father, the mother who abandoned her, her stepmother and her husband. 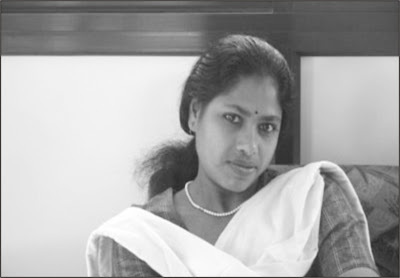 Professor Kumar would read her writing, make corrections and photocopies and she continued to write and write. The professor showed her writings to his friends. 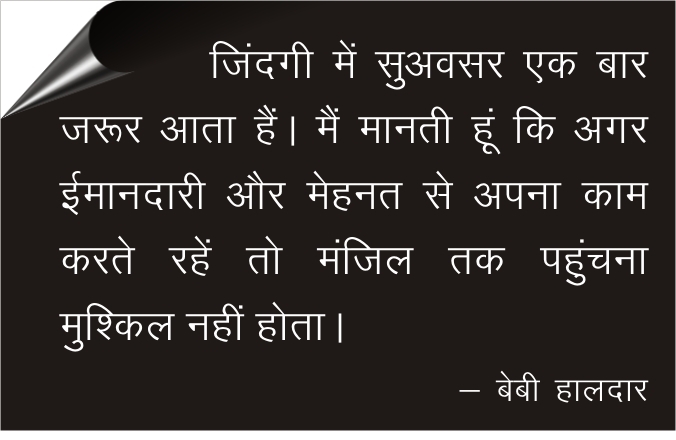 He then translated her writing into Hindi and a Calcutta-based publisher decided to print it. “I don’t feel angry with anybody or sorry for myself for what happened,” “In many ways, everyone in my life was doing what they were equipped to do, what they knew”, says Halder. Baby thinks the great purpose that her book has served is changing her father’s attitude not just towards her alone but towards daughters in general. “He said nobody in our family has gone so far in life and that makes me feel very good. After reading the book Baba told me “if time would have allowed him, he would like to go back to the days when we were kids and undo all the wrongs that he did towards us and my mother”, I felt very good. “I was determined my children would not have the same kind of life,” she says. Ms Haldar gets hundreds of letters every day. She has now completed her second book. 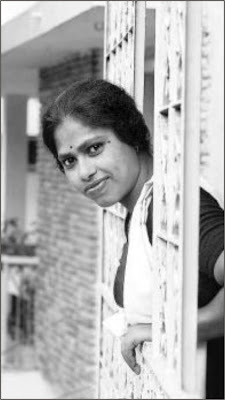 “Her new book is about the sea change that took place in her life after ‘Aalo Aandhari’ was printed.”she says, I am not a writer, I am just a maid. 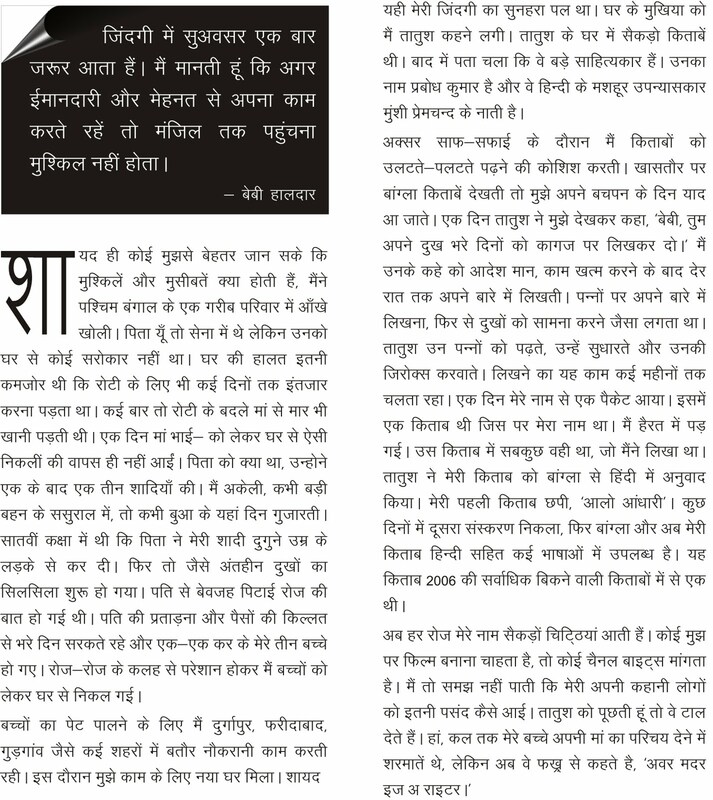 I still cannot understand why my life story is causing such a stir,”. But one thing, she says, has changed. “Earlier my children were ashamed to introduce me. But now they proudly say, ‘Our mother is a writer’. Life of an Indian woman who used to work as a maid servant in other people’s homes suddenly transformed overnight when she became a best selling author. 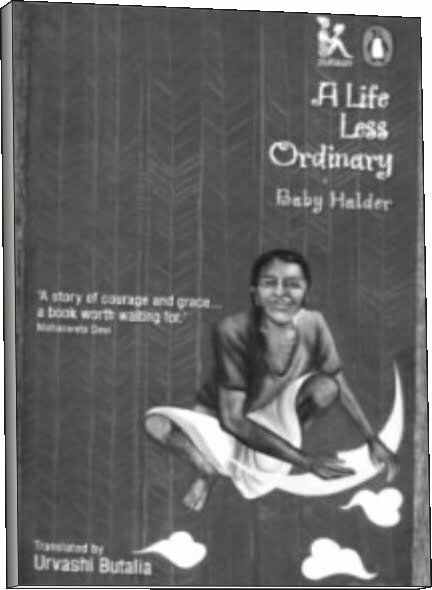 ‘A life less Ordinary’ is no literary work of born genius writer but an ordinary less educated Baby Halder’s book, originally written in Bengali and then translated into English. This is the story of Baby Halder, a young woman working as a domestic help in a home in Delhi. Hurriedly married off at the age of twelve, a mother by the time she was fourteen. Prabodh Kumar translated Baby’s memoirs, “Aalo Aandhari” into Hindi and got it published in 2002 since then, two editions of the book have been printed. In 2004 came her Bengali original. A year after in 2005, a Malayalam translation appeared. And in 2006 came its English translation “A Life Less Ordinary”. A French translation is in the works. The book became a best-seller in India.